"One of the best software and platform to learn and implement CFD and other engineering simulations." The prompt response by the technical support team, the workshops conducted, the community and the forums all add up to the experience of SimScale A first time user can make use of the features without a problem and an advance level user has the freedom to tweak the simulation according to the model. The cloud based computing also drastically reduces the time required and parallel computing helps compare different iterations effortlessly. Simscale has always been improving to ensure best customer satisfaction. I have always run out of core hours even after additional hours have been added multiple times by the SimScale team. That just goes to prove how important and useful this software has been to the work. Apart from the limited core hours the post processing is one aspect where SimScale can improve by providing many more options and giving users more freedom to play around. Start by seeing all the videos and workshops provided by SimScale. Go through similar public projects and make full use of the community and the support group. I have been using SimScale to simulate the aerodynamic loads on a FSAE style race-car. I have also been using it to simulate the cooling of the batteries in the accumulator and of the radiator. The cloud based parallel computing has allowed me to iterate a lot more than i could conventionally have. It wouldn't have been possible to design simulate or improve the performance of the car without SimScale. The level of support is the best feature I´ve found as new user. Being aware that usually there is a final customer expecting results, I´ve found the support really efficient at clarifying doubts, explaining related features so they anticipate future problems and solving the issue so you can continue working to deliver. Even when there is some feature that does not properly work for any reason, they just take the case and fix/do it themselves. It is really a life-saving service, specially with a customer awaiting results. The workflow, however optimized and fast, is different from traditional CFD and must be learnt. Some problems or things done differently will always arise. Run some test cases from start to finish with your own geometry. The workflow is great but must be learnt because of its differences with tradditional CFD one. "This is a revolutionary design tool that combines CFD, FEA, and thermal simulation "
After decades of dabbling in CFD, I finally found an analysis environment that was truly worth taking the time to get to know. SimScales unique browser based workbench, which accesses remote supercomputer cores using proven OpenFOAM algorithms, makes professional design validation available for all who care to learn. Combine that with a dedicated on-line forum that has very fast response time for all levels of help and there simply is no longer any reason to put off learning how to include these modern design disciplines into your design process. With about 200 new feature requests available for a user to vote on, SimScale limits the number of votes available to a user. This requires a user to constantly review all 200 or more current feature suggestions to make sure the user is using his limited number of votes on the features most important to the user. Using SimScales workbench has allowed me to more precisely analysis my new designs with less effort and with more confidence that the product will perform as predicted. "Outstanding CFD software for all types of projects"
Web based CFD software that runs simulations of projects in parallel. Reducing time and increasing productivity. The free accounts offer a great amount of processing credit per year (3000 core hours), which is computed through the cloud and via a super computer. Resulting in your computer able to be used for other tasks. The graphical representations and the ability to run simulations at the same time is the main reason i used this for my university project. Also the help from the public forum and Simscale staff are vitally useful for when an extra person's input is needed to overcome any gremlins in a project. The learning resources are additionally helpful to get upto speed with the settings and parameters used in the mesh and simulations stages. The only temporary drawback is the post processor is under a revamp, meaning i am using their previous post processor Paraview to obtain my visual screenshots and surface data contours. Try it before you regret not using it for your project. Especially good for university work and also gives University Formula student teams help and increased benefits and core hours to aid their vehicle designs and validations. I am researching into optimising my university's recent formula student car, whilst also addressing the benefits and disadvantages of using a full aerodynamic package as compared to optimised bodywork and Underbody. "Running large CFD simulations from the comfort of my sofa!" As a hobbyist I love the fact that I can perform free surface simulations, that would normally require a large work station, utilizing just my laptop and cloud based solving from the comfort of my sitting room. The public forum and projects are brilliant learning resources and have helped me greatly in setting up my simulations. Manual meshing is fairly fiddly which can increase setup time. I will take a look at the automatic meshing process for my next simulations! Post processing is not as intuitive as I would like and also quite unresponsive but maybe that is my internet connection. The platform is a fantastic learning tool and gives the opportunity to interact and collaborate with other users. I am loving it and would recommend it to anyone that is interested in CFD. The benefit of access to huge computational power is unquestionable. It gives me the opportunity to perform computations that would otherwise be impossible. "Great software and fantastic support." I have access to many of the features I need in a CFD package, all from within the browser. But SimScale isn't just a great CAE package but is a great community and education resource. SimScale regularly conducts webinars on how to use its product in many industries, and also a community forum for discussion. SimScale staff are very close to their user base and regularly comment and interact in the forum. Regardless of the topic or complexity, there will always be someone with an answer. CAE packages are normally not very easy to navigate and are overly complex. SimScale, however, is neat and intuitive. The user is initially presented with a dashboard of all the user's projects, within these project there are three main tabs. The tabs are in a logical order from preprocessing, sim design then post-processing. within each of these tabs is a tree containing each geometry, mesh or simulation each containing branches for setup. If you have forgotten to do something within a branch (we have all been there right?!) then it sticks out like a sore thumb as a big red ring, and if all criteria are met for a branch it is a green ring. The user can then fire of a simulation run, which is a snapshot of settings and results, the user may then make modifications to the setup and fire another run off. When the results come back the user can choose to either post-process the results from right within the browser or they can download the results and post-process in Paraview. The user can also download a CSV of results from control items (such as force coefficients). SimScale are starting from scratch, which is, on one hand, good but it lacks a few features that some more advanced users may require. That said there is rapid growth, and staff monitor the forums for feature priority and ideas constantly. I recommend that if you are reading this at least sign up for a free community account and give it a go. As a student and a mac user my choice of CAE engineering software is pretty restricted and as a student my CFD knowledge was limited. SimScale solved both these problems and I feel that no other community would have given me the knowledge I have now in this amount of time. I have since used other simulation packages but none feel as intuitive in my opinion. "A great platform with huge potential"
I liked their working interface and the fact that I do not need to use any of my personal computing resources. I can directly submit jobs to the cloud and would be intimated over email when the job is finished. As an academic user, I would like to freedom to try advanced models beyond what the boxes provide. This is something that I feel is a shortcoming. I also use other softwares like Abaqus & FEAP. FEAP is a open-source software. Abaqus is commercial. Both these allow for user elements and materials. As a material scientist, I find this extremely useful and necessary. SimScale is a great platform with wonderful potential. The people at the company with whom I have interacted are really nice & I am extremely confident that they will take the company in the right direction. I strongly wish them all the very best. I will look forward to increasing our collaboration in the coming future. My primary area of research is in contact and fracture. I am also working with a start-up on composite materials. These are not the features that are supported by SimScale at the moment. With SimScale, I am trying to develop simple simulation examples and tools that can be used for teaching purposes. The biggest benefit is that I can run on any platform & use Paraview conveniently to create nice animations that can help learning more fun & comprehensive. "Very accommodating and great service!" We are from a student design team and our contact from Simscale was able to meet all of our asks and was extremely helpful when we ran into problems. Furthermore, the technical support for our team was receptive as well. Overall fantastic! We have been using a lot of Core hours but I don't think that's Simscale's fault! Our team is optimizing the aerodynamic efficiency of our car. In order to do this, we have been leveraging Simscale to run simulations on models of our aerobody. Maximizing our aerodynamic efficiency will be one of the most important factors in determining the success of our team and it couldn't be done without Simscale. The best things about simscale is; really compact program, simple interface and successfully analysis. Also, training videos are clear. Some training videos old, İ think they could be updated. this application really successful but it hasn't many users. İ think it would be more common. You need adds for that. Formula Student training videos should be updated for new Simscale interface. "Direct access to simulation computing power"
I like the best the instant access to big computational power for Finite Elements and CFD analysis. Even on the free account, which demands your projects to be public, you can run simulations as big as 10 million CFD cells, on the cloud and without using any local resource, just an interface through your web browser. Also there is a really great community where one can learn from tutorials and public projects, ask questions and interchange opinions on simulation topics and specific problems. Still missing some crucial simulation functionality (such as finite elements structural models), but as stated by the company, this is coming. Also having a slow/intermittent internet connection can have a negative impact to productivity. Companies with restricted web access might not be able to use the platform. A must try for every simulation engineer, this is what could based engineering and simulation is all about. Until now on evaluation and test projects, also learning and interacting with the community. Benefits are the direct access to computational power otherwise expensive and always sub-utilized, and the community support. For many years I've told and by experience that CAE software requires a lot of space and resources, this means you need a reasonable decent computer if you want to run large simulations, well, with Simscale I can run the same large simulations even from a tablet! Just happened to me once and was for a very short period of time, when the servers goes offline or you have issues because something in the server side, it was quickly solved and because the nature of Simscale been in servers I'm surprised about the availability of it. Currently I'm teaching Engineering at University level and Simscale is the best option ever for software engineering, my students can signup for free and do their homework at home!, just with the access to a web browser, and also I can review their progress at the same time, this is highly valuable!. "Reproduction is exceptionally educational with Simscale "
I like that Simscale is based on officially great open source programming openFOAM enabling the designers to incorporate new highlights and redesigns effectively. It permits customization from client level and distribute the forks to the group. There are a considerable measure of bugs and this should be settled. I frequently need to restart the program as it is stuck and this outcomes in information misfortune. I did warm recreation on the motor complex to call attention to the strain focuses and increment the thickness of the material utilized. "I moved from Openfoam to Simscale"
The compatibility is the primary reason everyone should opt for this software. It integration with other CAE programs only adds the value and brings the best as a package. Recreation programming turns out to be exceedingly mind boggling because of the association between various physical models, arrangement methodologies, and solver settings. This prompts advancement bottlenecks and challenges in testing and approval. With more engineers and creators depending on SimScale for their simulation needs with various solvers. It is an effective program, with a lot of highlights to browse and a CAE community wherein everybody can team up and share their work with their verisons. Since it is based on open-source openfoam program all the upgrades are publicly available and can be modified to users content. "Amazing Cloud based Simulations Platform"
Simscale is pretty great! You have access to large simulation power, hard drive storage power and that too for free. It is easy to use and also has large amount of documentation. The best thing about SimScale has been its staff! The staff is really helpful. The staff was always ready to help whenever I had any problem. There is also an amazing forum with lot of knowledge. SimScale supports lot of CFD tools like various fluid models, turbulence models, passive - scalar transport, various numerical scheme. I am student and I am still learning CFD and SimScale has given a great insight into CFD. It lacks some features especially relating to the geometrical screen but it is adopting them. Overall, I will say that it is an amazing product with a lot of amazing people behind!! "Ease and ramp-up on the platform"
It takes the minimum time to set up a simulation on Simscale comparing any other product in the market. Extremely useful to quickly prototype simulation for various parameters? Simulation data can be stored in the cloud. A great reduction in the IT infrastructure/human-resource for the SMEs. Sometimes pre-processing takes a lot of time. Simscale allows you to have simulation data stored in the cloud. This can be a major benefit for all the companies who struggle to manage this data in-house saving overhead for IT infrastructure and human resource. I didn't solve any business problem but tried some sample projects on the platform. I had worked and is using Wolfram Modeller, Solidworks, Catia, Ansys, Rhinoceros, Autodesk and CFD softwares. It was also very diffcult to setup simulation on those platforms. Simscale has reduced that barrier for everyone to quickly ramp and prototype a simulation. 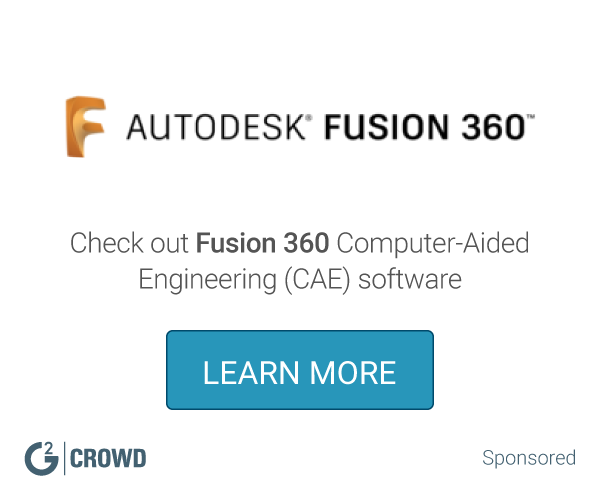 "Great Cloud-based Affordable CAE tool"
- It can be used from anywhere. - The staff and community are a great support. - Not widely known yet, so there are not as many validation cases for specific scenarios (although there are several validation cases in their documentation). Make sure to see their video tutorials. Water cooling problems, aerodynamic analysis, structural problems, ambient cooling, leak propagation, etc. Optimization of design based on feedback. "Low-level user of trial version"
Access to many different physics types. Entirely cloud-based. Entirely separated from originating CAD. Simscale was the first entirely Web-based multiphysics simulation provider. In that regards, the bumps and turns in the road have been paved by them. In other regards, being Web-based they can and should continue the development of the toolsets keeping in mind that ease-of-use is paramount. That said, any novice user of higher-ended codes (such as ANSYS or COMSOL) should have no difficulty navigating the structural and fluid tools of Simscale. Checking out web-base options in comparison to traditional desktop solutions. Overall cost of ownership could be less for a solution like Simscale. The support guys are incredibly helpful at answering questions and troubleshooting your simulations to find the bugs. This cloud-based program makes modeling so much easier - you can access it from anywhere, and it is capable of solving large, complex problems. The time zone difference between support and the western US was a bit challenging (Europe, ~8 hrs later) But they were reliable and got back to me within a few days. We were modeling a 2-phase tank filling at high speed, and analyzing the fluid flow. Despite the challenging conditions, this program gave us the results we needed to justify a design change that improved the safety of the system. "Simulation is very informative with Simscale"
I like that Simscale is built on already good open source software openFOAM allowing the developers to include new features and upgrades easily. It allows customization from user level and publish the forks to the community. There are a lot of bugs and this needs to be fixed. I often have to restart the program as it is stuck and this results in data loss. I did thermal simulation on the engine manifold to point out the strain points and increase the thickness of the material used. I like the fact that SimScale is opensource. Every new implementation is an open idea and can upgraded, publish, tweaks, which only makes the this software even more productive for the Analysis. The solvers it provide very specific to domain of use. The compatibility issues still prevail. I used Simscale in CFD analysis for a valve action on the heat flow control system. A comprehensive modeling, simulation and computational implementation of buck converter using Simscale. It was way faster. "A very intuitive and easily manageable interface for CAE"
The intuitive and straight forward interface. The included post solver is adequate for many processes, but the tutorials does need a upgrade to the new interface. Great usage plans, based upon usage of calculation hours (core hours). Affordable compared to priority software. CFD on fishing equipment. An understanding of the dynamics of the forming of the equipment. "One of the best CFD online tool"
The website simulation is very useful for the wide range of application in the real engineering problems. Nothing. Sometimes, without the connection, it is really hard but it is not fault the software and SimScale. Because my work is based on CFD simulation on the OpenFOAM sofware package I really appreciate for that oppurtunity for simulation with SimScale. Because my work is based on CFD simulation on the OpenFOAM sofware package I really appreciate for that oppurtunity for simulation with SimScale. I am focused on the CFD/CAA application. * We monitor all SimScale reviews to prevent fraudulent reviews and keep review quality high. We do not post reviews by company employees or direct competitors. Validated reviews require the user to submit a screenshot of the product containing their user ID, in order to verify a user is an actual user of the product. Hi there! Are you looking to implement a solution like SimScale?